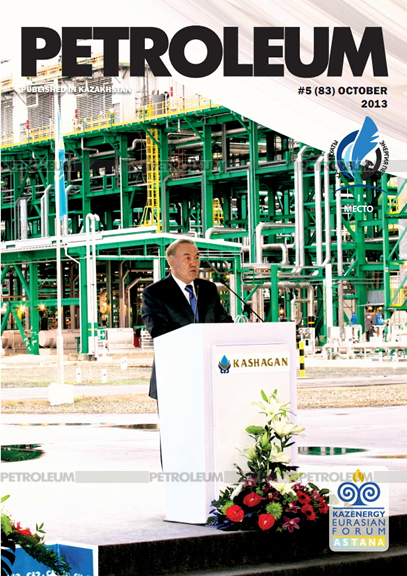 Minister of Oil and Gas of the Republic of Kazakhstan Uzakbai Karabalin gave exclusive interview to Petroleum magazine. – Uzakbai Suleimenovich, first of all, let me congratulate you on your appointment as Minister for Oil and Gas of the Republic of Kazakhstan. You are an old friend and contributor to our magazine and we'd like to extend our special gratitude to you for agreeing to give this interview for readers of Petroleum. We'd like to start with good news, voiced by you in late August – the discovery of the new field in the Kazakhstan Sector of the Caspian Sea. Previously, several offshore exploratory projects ended in failure. In the light of the recent discovery of the Zhambyl field, what are your estimations of oil content of the Caspian offshore zone? – The Zhambyl block is situated in the north-west part of Kazakhstan Sector of the Caspian Sea. From 2008 to 2012, gravimetrical, magnetometer surveys and seismic works were carried out at Zhambyl, and these works culminated in delineation of 5 promising units, and Zhambyl and Zhetysu are considered as base units. 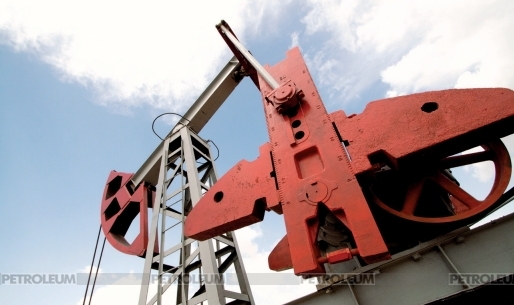 This spring, on May 20, construction of the first exploratory well began at Zhambyl unit. Depth of the well was 2,200 m and it intersected Permian-Triassic deposits. As a result of the surveys, two promising Jurassic units were distinguished. During their testing, oil and gas flows to surface were obtained. As for development prospects, we are optimistic about the future. According to results of drilling at Zhambyl unit, the partners have sent the notice on potential discovery. And within the framework of the first extension of the exploration period till 2016, KazMunayGas, in collaboration with the partner, is planning to drill the second exploratory well at Zhetisu unit, to carry out seismic exploration works and move to the estimation stage. We are confident that there will be more discoveries and we hope that in the near future we'll hear about new discoveries in the Caspian offshore zone. – Second set of questions is related to the North-Caspian project, which was the main newsmaker throughout the recent period. According to your estimates, when will commercial production at Kashagan start? 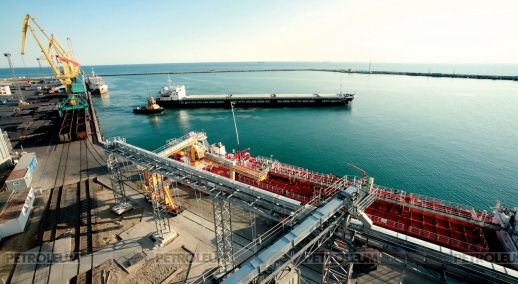 – Oil production at Kashagan has begun on September 11, and thereafter production volumes will increase according to plan. It is expected that in October this year, rate of production will reach 75 thousand barrels per day. This rate is specified in the contract as "commercial production". Therefore, production at the field has begun, and oil will be exported as soon as export volumes are accumulated. Maximum rate of production at Stage One will amount to 370 thousand barrels per day in 2016. – As you know, ONGC Indian state-owned company was one of the main bidders for ConocoPhillips stake in the project. However, eventually it was the Chinese state company that was nominated as the new partner in the Consortium. What was the clear advantage of the Chinese bidder? – Chinese National Petroleum Corporation proposed better terms and was able to buy 8.33% share from KazMunayGas in North-Caspian project. CNPC is a strong business partner with ample financial, technical and many other important resources. We are confident that rich experience of this company as a major player in the world market will be very useful for Kazakhstan and most importantly, it will be instrumental in successful development of North-Caspian project. – Ministry of Oil and Gas is actively negitiating with Tengizchevroil JV on Future Growth Project. What is the current status of negotiations? Are the outlines of the future project visible to you? – Yes, TCO intends to implement Future Growth Project (FGP) and that will allow to increase production of oil at Tengiz from 26 to 38 mln tons per year. Date of completion of works and putting new capacities into operation is planned in 2019. It is very important that the decision was reached on the necessity of preliminary coordination of terms of implementation of the Future Growth Project by means of conclusion of Memorandum between the Government of the Republic of Kazakhstan and TCO. Negotiations have been conducted on terms of the Memorandum. It is planned that TCO will create more than 20 thousand jobs for the construction period and 500 permanent jobs for the period of subsequent operation of FGP facilities. 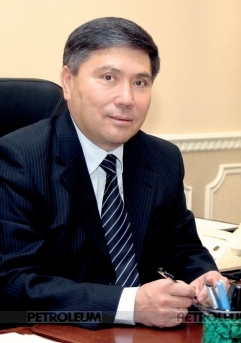 In view of this, memorandums have been signed between TCO and akimats of Atyrau and Mangistau oblasts.